HomeNewsNewsHoliday Waste: Recyclable or Not? Whether you took part in soda and beer, made your famous green bean casserole, or indulged in a carton of eggnog, aluminum cans, tin food cans and plastic beverage containers are all recyclable. Be sure to rinse out the excess food or drink before recycling. Got empty glass containers? Those can be disposed of in your standard garbage bins. 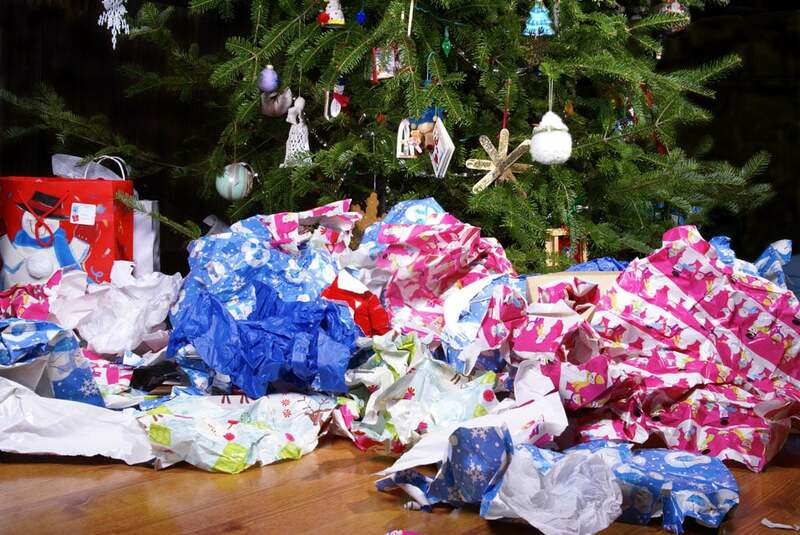 A common mistake people make around the holidays is putting wrapping paper in the recycle bin. Unfortunately, most wrapping papers are dyed, laminated, and contain non-paper additives, which cannot be recycled. This includes those sparkly ribbons and gift bows. Holiday cards, however, are recyclable. Holiday decorations, such as garland and glass ornaments are not recyclable. Dispose of these items in your standard garbage bins. Damaged light bulbs are also not able to be recycled. Be sure to keep an eye out for recyclable materials during your holiday festivities!